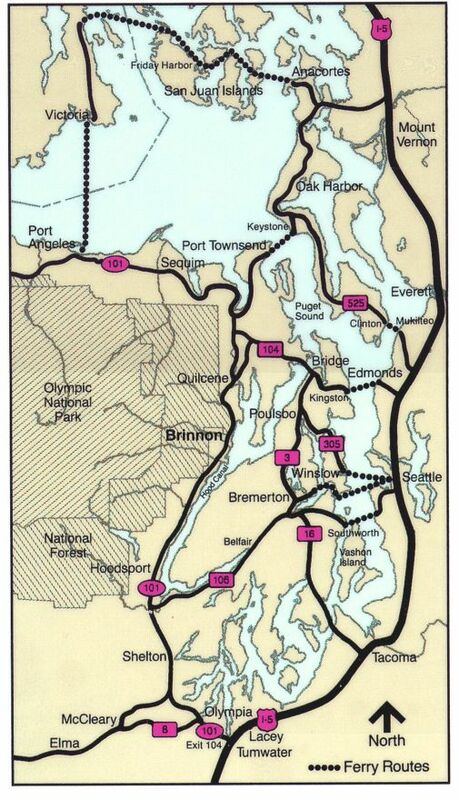 It's 26.83 miles from Seattle to Brinnon in west direction and 65 miles (104.61 kilometers) by car and ferry, following the WA 104 route. Seattle and Brinnon are approximately two hours apart, if you drive non-stop for 1 hour 22 mins and take a ferry for 35 minutes. This is the fastest route from Seattle, WA to Brinnon, WA. The halfway point is Port Gamble, WA. See Washington State ferry schedule.